Today Google has announced that the Android One program has entered a new continent: Africa. So far, the company's affordable smartphone initiative has been contained to certain Asian markets. 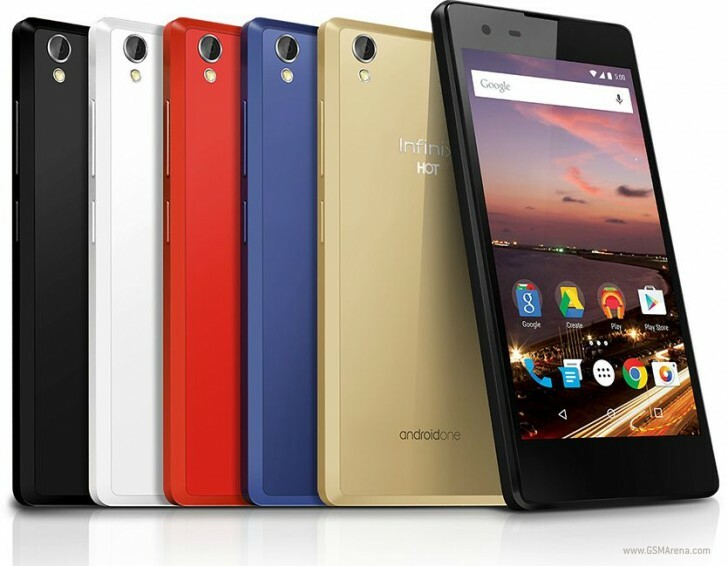 However, with the Infinix Hot 2 handset, Android One will debut in Nigeria, Ghana, Ivory Coast, Kenya, Egypt, and Morocco. These countries have combined populations of 379 million people. Infinix, Google's partner this time around, is apparently "one of the hottest, fastest growing smartphone brands in Africa". The Infinix Hot 2 comes with a 5-inch 720p touchscreen, an 8 MP rear camera with LED flash, a 2 MP selfie snapper, a 1.3 GHz quad-core MediaTek processor, 16GB of storage, dual-SIM support, an FM radio, and a 2,200 mAh battery. There's a version with 1GB of RAM, and this is offered in black, white, red, or blue, and another with 2GB of RAM, which is only out in gold. The smartphone runs Android 5.1.1 Lollipop from the get-go, and it's also guaranteed to receive an update to Android 6.0 Marshmallow at some point in the future. The Hot 2 is available today in Nigeria for NGN 17,500 (with 1GB of RAM) or NGN 19,500 (with 2GB of RAM). These prices currently translate into $87 and $97, respectively (or €79 and €88). The device will make its way to the other African countries mentioned above "over the next few weeks", presumably with similar pricing.